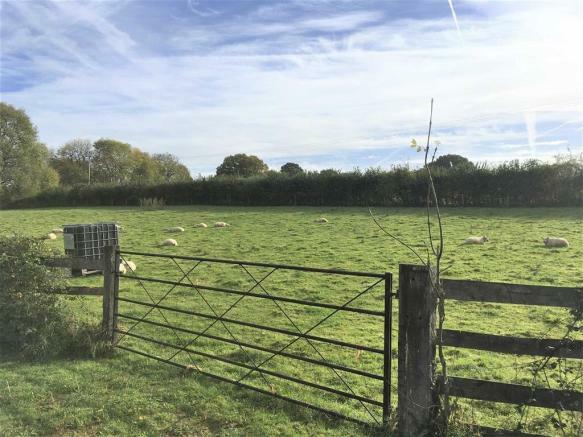 Description - A development site in this highly desirable Herefordshire borders village, with outline consent for the development of 5 detached residential dwellings. 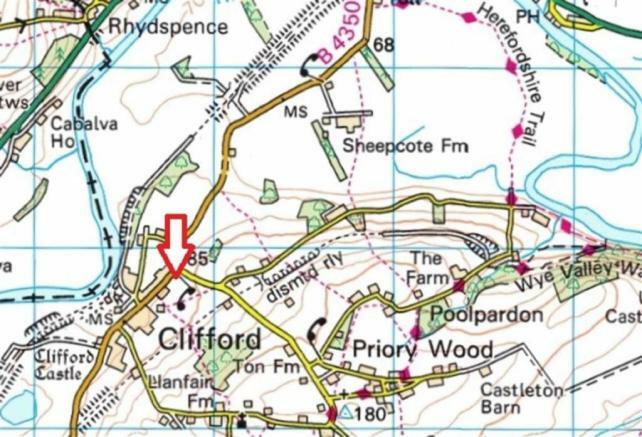 Location - Clifford is a very atrtractive Wye Valley village found on the borders between England and Wales and to the south of the River Wye. Clifford is a village community with a primary school, community center and church and is located approximately 2.5 miles from the very popular and desirable market town of Hay-on-Wye. 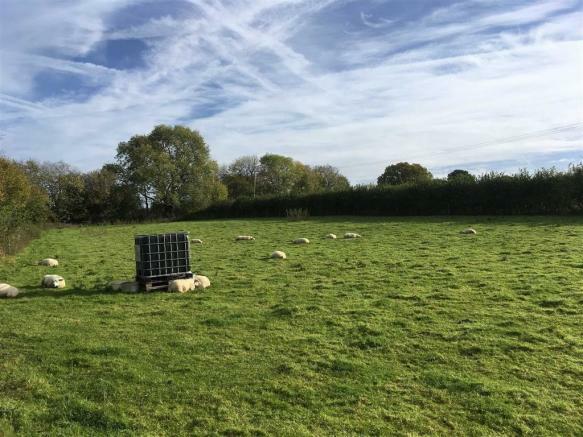 Hay is found within The Brecon Beacons National Park whilst also being a very popular tourist destination. The town has an excellent range of services and facilities including a doctors' surgery, dental surgery, post office, library, a supermarket and many independent shops. Hay-on-Wye is famous worldwide for its second-hand book shops and the Hay Literary Festival. Planning Consent - An outline planning consent has been granted and is dated 23rd October 2017 for a proposed residential development of 5 detached dwellings. The application for the approval of reserved matters will need to be made before the expiration of 3 years from the date of permission, in accordance with Section 92 of the Town and Country Planning Act 1990. Site Plan - The approved site plan is as attached. Utilities - Any mains services would require connection and it is understood that mains water is found in the road outside. Please note that there is no supply of mains gas to this village. Tenure - Freehold with vacant possession upon completion. Directions - From Hay-on-Wye proceed on the B435o and proceed into the village of Clifford. 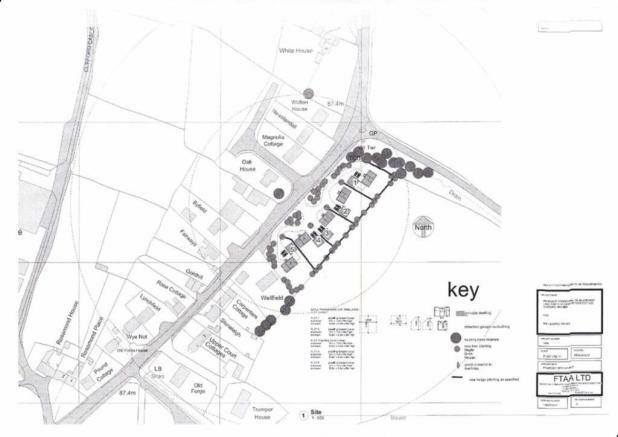 Continue into the village and just before the right-hand turn to the Clifford Community Centre, the development land will be found immediately on the right hand side, as indicated by the agent's for sale board. Viewing And Contact Details - All viewings must be arranged through the selling agents Sunderlands. Disclaimer - Property reference 28314997. The information displayed about this property comprises a property advertisement. Rightmove.co.uk makes no warranty as to the accuracy or completeness of the advertisement or any linked or associated information, and Rightmove has no control over the content. This property advertisement does not constitute property particulars. The information is provided and maintained by Sunderlands, Hay-on-wye. Please contact the selling agent or developer directly to obtain any information which may be available under the terms of The Energy Performance of Buildings (Certificates and Inspections) (England and Wales) Regulations 2007 or the Home Report if in relation to a residential property in Scotland.